Project Sansar: The Big Bad Wolf? Change is scary. The more some people hear about Project Sansar, the more panicky they get. I get it. Some people can handle change better than others. In RL, I work in Human Resources, and change is an integral part of my job, and if I couldn’t deal with change, I would be in the wrong job. I mean seriously, I could tell you stories…. Second Life residents are worried about many things. Will SL still be here? Will Linden Lab still support SL once Project Sansar is open? Will the new platform be for me? What if the new platform requires a high powered computer and I don’t have money for that, let alone an expensive VR headset!! Will SL become a ghost town with only those poor and lame enough to not have powerful computers? What if…what if…. It seems to me that most people see Second Life and Project Sansar as apples and apples, when really they are more like apples and bananas. I mean, think about it. I think there is enough people to allow the fruit section to expand. Consumers panicked. They freaked out! They picketed the store. They chanted, They blogged. “Save Our Apples!” they cried. The grocery store reassured consumers that the apples would still be there, but still the consumers worried and fretted. Would the apples still be the same? Would they be able to get the apples they wanted, or would the apple variety be reduced to make room for bananas?? Much hand-wringing and anguish occurred. Some consumers threatened to go to other grocery stores and fruit stands. Some consumers just stopped buying apples. Others continued to buy apples and enjoy the apples as they had for many years, not worrying about it. Consumers were encouraged to visit other grocery stores, where their produce section had many varieties of fruits and vegetables, all happily living side by side, as consumers pick and choose which fruit and vegetables they wanted, and not one fruit or vegetable suffered from slumping sales when a variety was being offered. Indeed, in other stores where a variety of produce was offered, sales often soared of the apples when bananas were introduced, because it drew a larger number of consumers to the store, and sometimes those people chose apples instead of the bananas they had originally come for. Clearly there is room for both SL and Project Sansar. They appear to be, at this point, apples and bananas not apples and high tech apples. They are similar, but not the same. Maybe a better example would be that Second Life are Red Delicious and Project Sansar are Fuji apples. There is room enough for both varieties, because not everyone wants the same variety. As I tell my staff in RL, ask yourself, “Does getting upset about this change anything?” There is nothing we can do. Linden Lab is moving forward with Project Sansar, and we can either embrace the change or we can reject it. We can be part of the problem, or part of the solution. Once we realize that this change is inevitable, let’s embrace Second Life and keep it vital, alive, and growing. The only people responsible for making Second Life a wonderful place to be, are the residents. We, the content creators and consumers, performers, artists and all that makes Second Life rich and vital, are the ones that can continue to make it this way. Will Project Sansar be for you? Maybe, maybe not. Maybe Project Sansar is the Mercedes of the virtual world platforms, and Second Life is the Toyota. Not everyone can afford a Mercedes, but that doesn’t mean that we stop driving or don’t buy a car just because we can’t afford a Mercedes. There is a rich and varied technological world out there, and there is room for both Second Life and Project Sansar. If Second Life fails, it will not be because Linden Lab didn’t support it; it will be because the residents didn’t believe in it enough to keep it vital. Don’t throttle back creating, don’t stand still and refuse to move forward out of fear that Project Sansar will eclipse Second Life. Don’t run around saying the sky is falling when in reality, it is just another star in the galaxy. 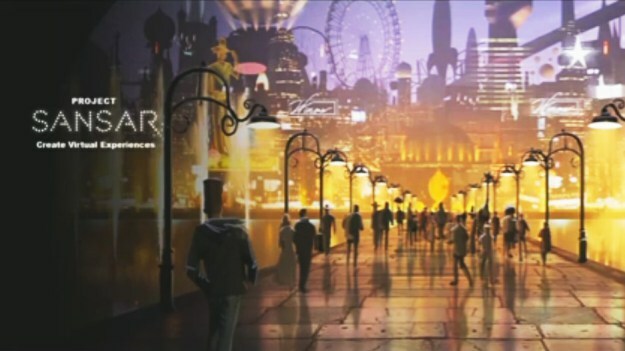 Canary Beck: Are Second Life Residents Anxious About Project Sansar? This entry was posted in NEWS and tagged change is scary, Linden Lab, Project Sansar, Second Life, ZoHa Islands. Bookmark the permalink.